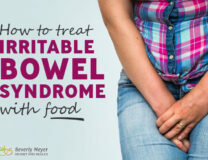 50% to 75% of us suffer from Irritable Bowel Syndrome. What is it, and how can you alleviate it? Listen in to this Irritable Bowel and Colitis Podcast. Gas, abdominal pain, bloating, diarrhea and constipation are all part of the “no known cause – no known cure” world of IBS and Colitis. I’ve had long personal experience with these bowel issues and have also seen hundreds of clients improve by doing the detective work needed to get to the root cause(s). Change can happen quickly. The GOOD NEWS? You CAN get relief! There are two main causes, as I see it, and a handful of possible contributing factors. The main causes I see are indigestible complex carbohydrates, and anxiety. I talk in this podcast about digestion, the effects of anger/worry/anxiety on the gut, and other topics such as: fructose absorption; gallbladder issues; bacterial imbalances; infections; and the effects of Acid Blocker pills such as PPI’s. I also clarify the difference between IBS and IBD (Irritable Bowel Disease). Various tests are recommended, as well as specific changes in diet. Tune in and get some help for yourself or a family member! This podcast can change your life. 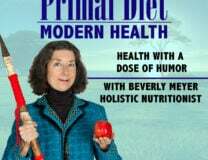 I have several blog posts and podcasts that talk about the Paleo Diet for Irritable Bowel and Colitis, as well as those on the Specific Carbohydrate Diet. Search my website and the SCD Lifestyle site for more.